This person will refer to you as 'bro'. Most people seem to be operating on the same social frequency. I can see this, but I am unable to take part without tremendous effort that feels insincere. Awkward conversation is my forte. Hoping to improve, I observe and try to understand how people interact with one another. One thing that has helped me in deciphering social interaction has been to recognize motivation. Once you find out what drives someone, their behavior becomes easier to understand. What is the most common motivator that I have seen? Before boarding, this is a glorified marshmallow test. Delay the gratification of getting on the flight and you get to negotiate your marshmallow. A $200 travel voucher isn’t going to get you very far. Wait for a little bit and you might score $800 or $1,000. Once on the plane, this is completely different. Now the loser is paraded in front of their peers. How much would the airline need to pay you to take the Walk of Shame? Put this way, nobody wants to get off that plane. I’m more important than the knuckle-dragging mouth-breather in 15C. Kick him off. 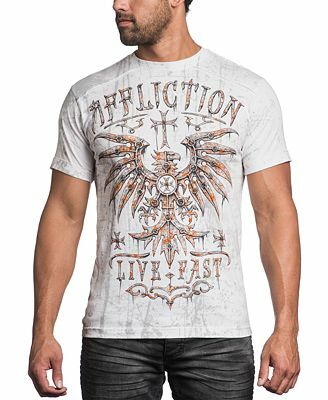 The guy is wearing an Affliction shirt for crying out loud! I put this concept to work for me in my due diligence meetings with money managers. I will often ask questions that position the money manager (or their sales guy) as an expert. At the same time, playing dumb frees me to ask questions that reveal what truly matters to that investment firm. Are they believers in an investment process or are they just gathering assets? How do they explain their returns? Does it stem from their investment process or from the marketing department? Are their strategies positioned around core competencies or does the positioning shift with current investing fads? While we do use quantitative screens and questionnaires, our due diligence process isn’t a horse race and there is no walk of shame for the losers.